With their comeback ahead, members of Big Bang took part in filming web drama, Haru: An Unforgettable Day commissioned by Korean Tourism Organization. 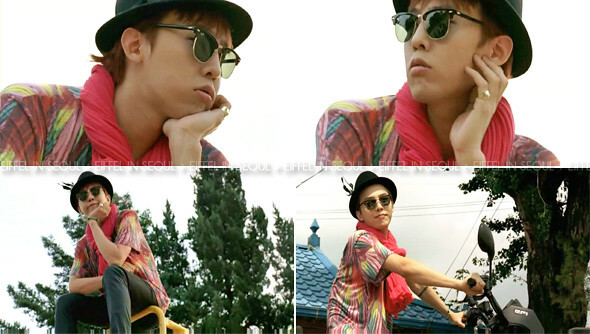 In the 1st episode of the web drama, G Dragon stood out among the members wearing Christopher Kane Bowl/Bell T-shirt. His outfit was accessorized with a pair of Ray-Ban Classic Clubmaster, pink scarf, fedora hat and brown loafers. The Bowl/Bell T-Shirt is available in both men's and women's sizes on ssense.com for USD$310.00. 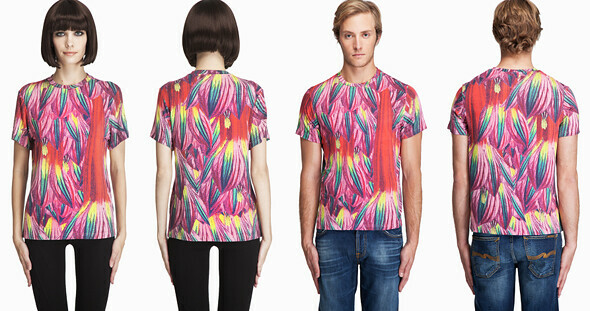 Also available on Opening Ceremony for USD$280.00 (women's). I absolutely love the vibrant look of his outfit, perfectly accessorized. I'm hoping for 2NE1's member to wear the same T-Shirt, it'll look good on them! two good things all wrapped up in one.. too good!